According to a newly published article in Urologic Oncology, at least 85 percent of all radical prostatectomies in America are now performed using robot-assisted laparoscopic prostatectomy (RALP). Actually, this is hardly a surprise. However, … the new article by Oberlin et al. does provide us with other information that is really rather more important. Oberlin and his colleagues used the 6-month case log data required by the American Board of Urology for the certification of urologists from 2003 to 2013. These data allowed them to identify the numbers of open radical prostatectomies (ORPs), laparoscopic prostatectomies (LRPs), and RALPs for the treatment of prostate cancer carried out by each urologist applying for re-certification during that time period. 6,563 urologists submitted 6-month case logs for re-certification between 2003 and 2013. The total number of radical prostatectomies reported was 46,030. 39 percent of the urologists logging ORPs did two radical prostatectomies or fewer during the 6-month case log period. 19 percent of the urologists logging RALPs did two or fewer radical prostatectomies during the 6-month case log period. The highest volume robotic surgeons (top 10 percent of surgical volume) performed 41 percent of all RALPs. The single highest performing robotic surgeon claimed to have performed 658 RALPs over 6 months. General urologists performed 57.8 percent of all radical prostatectomies reported. When the surgeon performed ORPs, there was no influence of surgeon specialty on the performance of lymph node dissection. When the surgeon performed RALPs, urologic oncologists were much more likely to perform a lymph node dissection compared to general surgeons (47.0 vs. 25.9 percent, P < 0.001). 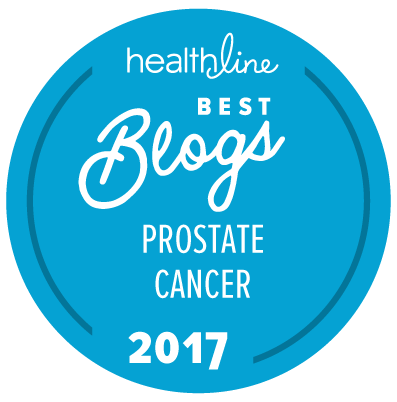 It is generally accepted that most surgeons need to have done about 250 radical prostatectomies to be really good at this operation. But if you are doing even 16 such surgeries a year, it would take you > 15 years to accumulate that level of experience — so many urologists who are doing radical prostatectomies are never achieving that level of experience and expertise! Volume alone does not necessarily make for a good surgeon. We know that, quite certainly, there is a level of inherent skill involved in becoming a really good urologic surgeon, which can then be improved by practice. So there are definitely some surgeons (but not a lot) who are really good at radical prostatectomies even if they have only done (say) 50 or 100 procedures. Anyone claiming that s/he is doing 658 RALPs in 6 months — even if he works 6 days a week — is claiming s/he did 25 radical prostatectomies a week, 6 days a week, over a 12-month period; that’s more than four RALPs a day for 6 months. From a patient perspective, if you are looking to find a good surgeon, you want one who probably does something like 100 to 200 radical prostatectomies a year (i.e., this is an operation s/he really specializes in doing) and who makes the time to actually talk with you in detail, remember who you are, and treat you and not just your prostate. It is probably also a good idea if he or she has qualified as a urologic oncologist as opposed to just a general urologist (although there obviously exceptions to all such generalizations). It is near to inconceivable that anyone doing 25 RALPs a week would even be able to recognize half his or her patients, let alone the individual details of each procedure, afterwards. Again, volume alone does not necessarily make for a good surgeon. And anyone who claims they were doing 658 radical prostatectomies in 6 months was probably actually not doing all of those procedures him- or herself (see below). Are you a urologist or a urologic oncologist? How long have you been doing radical prostatectomies? Great information. So important. How do we get the word out? Desperate, confused, newly diagnosed men would not find this and easily fall prey to a urologist who does so few procedures. If I knew how to get information like this out to men before they went to get diagnosed with prostate cancer or even immediately after they had been diagnosed, I would already have been doing it for most of the past 25 years. The problem we are facing today is still the same old problem that most men are clueless when they get a diagnosis of prostate cancer. In most cases they hear the word “cancer” and just freak out, without realizing that in about half of all cases they can just monitor the situation at least for a while. Since one can’t identify patients at the time of their diagnosis, I know of no way to get them this information when they most need it … and almost no men will want to even think about any of this prior to a diagnosis. Beyond the questions suggested in the article, you need to ask what is the surgeon’s percentage rate of positive surgical margins. There is a wide potential range and the smaller the number, the lower the chance that the surgeon will leave cancerous cells behind that can cause a recurrence. You only have one chance to pick the right surgeon! My surgeon’s percentage rate was about 2%. Others I investigated had rates of 9% to 30%. I had no positive surgical margins with my RALP and have gone more than two years since the surgery with an undetectable PSA level. You really don’t help anyone by just being angry and negative all of the time. Some patients really are good candidates for surgery because they need really aggressive treatment. And some surgeons are damn good at what they do. Actually, asking a surgeon what his rate of positive surgical margins is can give you some highly misleading information if you don’t have some important additional context. If you are a surgeon who operates largely on low-risk and very low-risk patients (who might well do just as well on active surveillance anyway), then there is a very high probability that you will have a low rate of positive surgical margins because most of the time the cancers won’t cross the capsule of the prostate into surrounding tissue. In other words, the reason you have a low rate of positive surgical margins has at least as much (if not more) to do with who you are operating on as on your skill level. Conversely, if you are a surgeon who deliberately chooses to operate largely on very high-risk patients with tumors extending into and through the capsule of the prostate, then the surgeries you are doing are harder and more complex, and the chances that you are going to leave a positive surgical margin are significantly higher. But then you know going in (and you have told your patients this) that many of them are going to need adjuvant or at least early salvage radiation therapy anyway, and so the fact that they might have a small positive margin may not be as critical as the fact that they have Gleason 8-10 disease and cancer in their seminal vesicles and their lymph nodes too. Your point as to context is well taken and would certainly add to one’s further understanding of the significance of a specific surgeon’s surgical margin rate. I was simply trying to make the point that a surgeon’s surgical margin rate should be a consideration when choosing a surgeon and should be a question one asks. Patients themselves must be their own best advocates and take final responsibility for the choices they make … including the choice of their surgeon. This was why I stated that a patient should ask “at least” the questions that I identified. After years of study, I have a lot more questions that I would ask the surgeon, but most patients wouldn’t even understand why I would be asking those questions because they are missing all of the relevant contextual information. Most newly diagnosed patients, for example, wouldn’t even know what a “positive surgical margin” was. So they wouldn’t understand why they were asking that question or what the answer might mean. According to a source I looked at, a robotic prostatectomy will take 2 to 3 hours. So, 658 in 6 months obviously translates to five per day assuming 5 days a week. Inconceivable, unless, as noted above, the surgeon is only involved in part of the procedure. On the positive surgical margin rate … What I tell patients to ask is what is the positive surgical margin rate among pT2 patients in the last year. (Of course, I explain all this to the patient.) T2 positive margins are “iatrogenic” and many, but not all, could have been avoided by a skilled surgeon. The ones at the apex, where there is no clear encapsulation are the most problematic, so if cancer has been clinically detected there, it’s a good idea that a patient has a clear understanding of how that will be dealt with. For a similar reason, I also recommend they ask the surgeon about intra-operative frozen sections. Even more important than the answer is the discussion between the patient and doctor about the question. This is not an easy operation, and I want the patient to appreciate some of the difficulties and adjust their expectations accordingly. This is exactly why I had my RP done by Dr. Partin at Johns Hopkins: (1) I figured that he was trained by Walsh. (2) He would be best at nerve sparing and removing all prostate tissue, since he studied with Walsh. (3) Johns Hopkins had the best 15-year survival data at the time. This was 7 years ago. … I figured if Walsh pioneered RP and passed the torch to Partin after he retired these guys were the best option. I am looking for some information on the cost of an RALP, particularly at Johns Hopkins. Can anyone give me an estimate? Getting an accurate estimate for any type of surgery at a specific institution if you are going to be paying for it yourself is extraordinarily difficult. You are also likely to be charged a great deal more than an insurance company would pay on behalf of an insured patient. What I can tell you is that if you look on the Surgeo.com web site, you can get some idea of what you ought to have to pay for a high-quality radical prostatectomy carried out by peer-evaluated specialists. And the prices quoted there include everything.